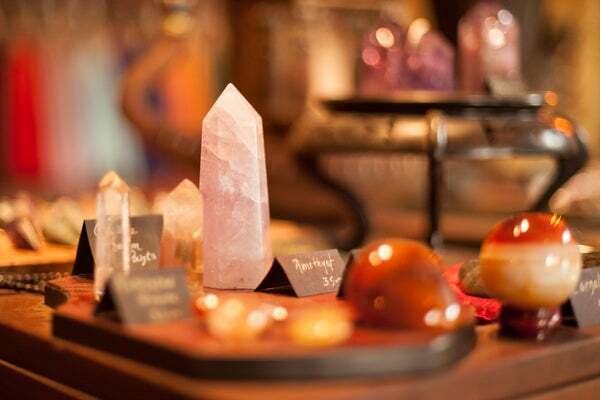 Best Psychics, Astrologers, And Crystal Shops In S.F. In a city as vibrant and eclectic as San Francisco, it seems like everyone has his or her own unique method of keeping zen. Whether that’s yoga on a hilltop, an amazing acupuncturist, or simply manning a peaceful garden — we say, whatever works for you is golden. And this holds true even for those quirkier ways of centering oneself, finding that happy place, and, like that infamous poster says, keeping calm and carrying on. So, in the hocus-pocus spirit of the season, we figured it was high time to cull some of the city’s best astrologers, crystal shops, psychics, aura readers, and the like. Ready to dive into the magical wonders the Bay has to offer? Trust that these 8 tried-and-tested picks are truly (and literally) out of this world. We’ve considered ourselves fans of master perfumer Yosh for quite some time now. And her intuitive aura readings aim to leave you walking away feeling and smelling great (as she matches up a stellar scent to your energy). But, her one-on-one, color-coded aura charts are what really have us buzzing. The 45- or 60-minute readings are not just introspective, but entertaining, too. 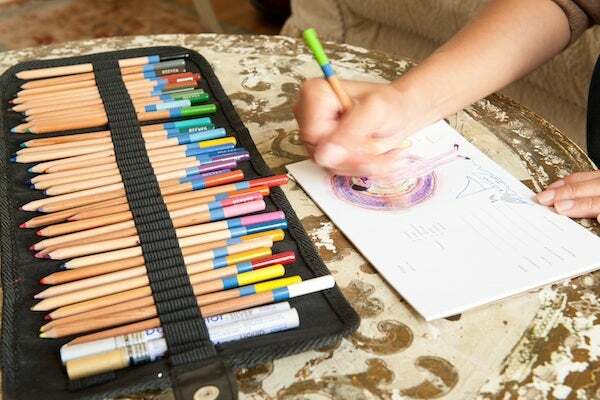 As Yosh speaks about every layer of your chakra — spewing out descriptions of interesting images and kaleidoscopic colors — you get to doodle your own chart as you see fit. Yosh is extremely inviting and doesn’t hesitate to answer any questions you may have, from what each chakra means to how what she sees relates to you. So, no need to feel intimidated walking into the sitch, as Yosh is a joy to spend time with. Plus, you step away with a pretty picture, a scent that’s incredibly personalized, and a deeper understanding of yourself. Eaude Yosh, Pacific Heights by appointment only; 415-626-5385. If you need some spiritual guidance, you can never go wrong with looking toward the stars — especially when astrologer Joyce Van Horn is involved. Her fairly new brand of the zodiac “evolutionary astrology” focuses on your chart’s south and north nodes that normally go overlooked from other readers. And when it comes to your chart’s holy trinity — the sun, moon, and rising signs — Van Horn explains in great detail what each has to do with shaping your planetary personality. We sat down for a Natal Birth Chart reading with the 30-year practicing stargazer, and her spot-on analysis gave us major goosebumps. We especially love that Van Horn creates the chart before you walk into the session and gives a total rundown of your individual cosmic character. And if you’re especially spiritually inclined, this evolutionary astrologer can provide a detailed account of a former past life and how it relates to the present day. If you mention that you’re a reader of R29 S.F., Van Horn will cut you a killer deal: Her Natal Birth Chart reading that normally goes for $185 a pop, will be slashed down to $125! A deal like this only comes once in a blue moon, so book your sit-down with Van Horn, and get a reading that is truly celestial. Joyce Van Horn, Japantown by appointment only; 415-518-5818. If you aren’t quite convinced of third-eye senses yet, you will be after a reading with Jessica Lanyadoo. This Mission-dwelling clairvoyant is a bona fide triple threat with skills as an astrologer, psychic, and spiritual medium. Her sessions encompass a reading of your planetary chart, your individual energy, and an uncanny analysis of your personal relationships — possibly with loved ones that have passed on. Intrigued? Then, you’ll have to get in line. Lanyadoo has a six-month waiting period for every new client. But once you do get lucky enough to land a reading, you’ll walk away with a clear vision on how to improve your life and relationships that no everyday Joe could possibly dish out. Price: $255 individual, $325 couples; by appointment only. Jessica Lanyadoo, 625 Valencia Street (at 18th Street); 415-336-8354. While some naysayers are convinced there isn’t any scientific backing to spiritual guidance, note that intuitive counselor Nicki Bonfilio holds down a Psychology degree. She blends her psychic abilities with her educational background to address clients’ emotional needs, from fertility struggles to reaching your deep-rooted life goals. And while some psychics give one detailed reading without much discussion, Nicki’s approach is more like seeing a weekly therapist ... you know, who happens to be a psychic, too. Utilizing her expert skills in meditation, alchemic healing, and astrology, Bonfilio possesses all the insight necessary to melt your woes and strengthen your intuition for $150 an hour. And while the price may be steep, we think spiritual clarity and inner-peace is pretty priceless. Price: $150 an hour; by appointment only. Nicki Bonfilio, 3150 18th Avenue, Suite 504 (near Treat Street); 415-487-4399. Sure, we write about quite a few shops here on R29, but one that almost has us rendered speechless has to be Cole Valley’s The Sword And Rose. The otherworldly outpost is tucked away on a quiet street and has a serene, secret garden of sorts (equipped with fountains, crystals, and benches) leading to its entry — where a dynamic, quirky, and spiritual man dressed head-to-toe in black will greet you. The quaint store is a mystical wonderland, boasting everything from books on religion to energy gems to swords and candles. We were particularly smitten with the handmade incense the owner crafts. It takes him two months, as the planetary energy has to be robust and strike him at the right time. The shop also provides readings that are sure to knock your socks off. We recommend a stroll through this inspiring, unique space, even if it’s only to peep what’s brewing. You'll be glad you did! The Sword And Rose, 85 Carl Street (between Clayton and Cole streets); 415-681-5434. If you were to ask around about the spiritual best-of-the-best in S.F., chances are Mia Simone’s name will pop up. And while this multi-talented reader specializes in intuitive reading sessions, it’s her energy healing that really has us talking. Prepare yourself for some honest, no-holds-barred advice and clarity on paving your spiritual path. The Mission-based Mia Simone works with clients to help read and shift blocked energy and set it back into a positive motion — from detailed tips on mediation to self-awakening practices for the soul. One thing she does ask though is that you have specific areas or questions in mind. So, come equipped with direction. If you’re in search of a caring, professional, and detailed soul healing, don’t think twice about hitting up Mia Simone. Mia Simone, Mission by appointment only; 415-820-1454. Okay, we know bopping around to clairvoyants, astrologers, and aura readers isn’t exactly easy on the pocket book, but luckily there is an option out there that requires little cash flow. The Berkeley Psychic Institute offers up to two hours worth of intuitive readings that cover all bases. You get the psychic, aura, and the school’s special rose reading for only 30 bucks. The readings are conducted by students in training that are looking to practice their psychic abilities. It's definitely worth it for spirit seekers on a budget. 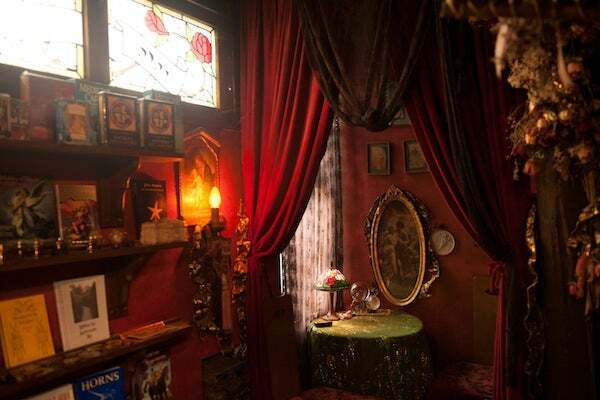 Berkeley Psychic Institute, 1900 Addison Street (between Martin Luther King Jr. Way and Milvia Street); 510-558-9450. What would this roundup be without the ever-classic tarot-card reading? Storm at Heroic Tarot not only tells it like it is, but he is extremely detailed and goes beyond the typical reading to explain the symbolism in each card dealt. Plus, he makes the reading incredibly interesting by using X-Men tarot cards. Um, how awesome is that? He’s raved about for a reason, which is adding his quirky signature to this distinct style of readings. Visit Storm’s Lower Haight shop — you won’t be disappointed. Heroic Tarot, 549 Lyon Street (at Fulton Street); 415-260-2903.